We're not going to C2E2 this year, but that doesn't mean the weekend won't be filled with comics! I kept my subscription for an extra month to the Marvel U app to finish up some comics, so I read a bunch of random stuff in that (including all of the Cloak and Dagger I could find, since I liked them in Runaways). 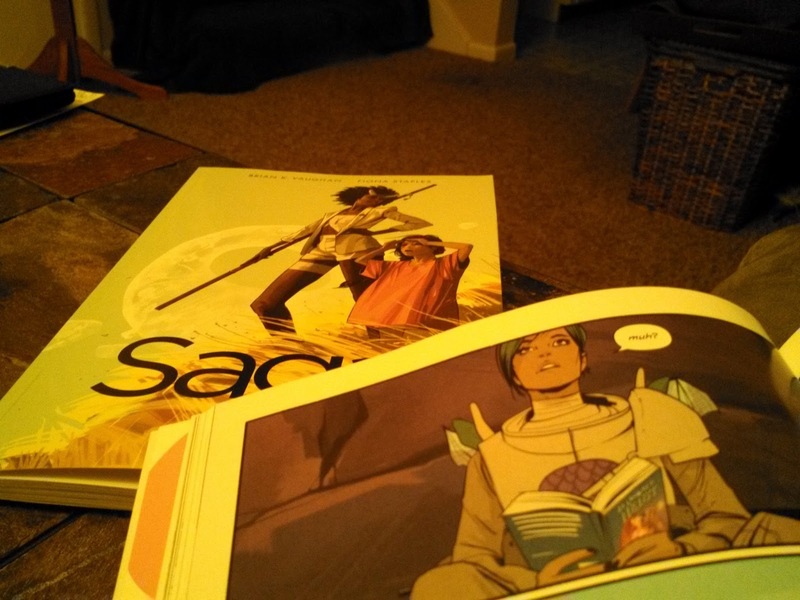 Then finished up the day with the latest Saga books.